Did you found a pill on the floor and aren't sure what it is? Maybe you just picked up your new prescription from the pharmacist and want to confirm it's the right drug. There are some simple ways to identify pills, tablets, and capsules and it can all be done safely online. Unless the drug is a good counterfeit, the identification process is very straightforward. By law, every pill, tablet, or capsule approved by the FDA must look unique from all others. This is done specifically to make identifying each easier. Each pill will also be imprinted with a unique identifier. These can include a combination of numbers and letters or the name of the drug. In some cases, you might also see a logo. Once you have identified these elements of the drug in question, use Pillbox. It is run by the U.S. National Library of Medicine and National Institutes of Health, so it is an online source you can trust. This is an easy-to-use tool that allows you to input the elements of the pill design. Begin by typing in the imprint you see, then choose the color and the best shape that matches the pill you're looking at. The tool also lets you input the size of the pill and whether or not it is scored, but these are not necessary. You will then be given results for any pills that match the description you gave. From there, you can view photos, see the name of the drug, and what it's used for. Tip: If the tool does not produce any results, double check the imprint. Some of the letters and numbers can be hard to distinguish, especially on very small pills. If needed, use a magnifying glass. Still Can't Identify the Pill? There are a few reasons why the pill identifier may not be able to recognize the pill you have. Most likely, it may not be an FDA-approved drug. This means that you may be looking at an illegal drug, a counterfeit, or even an alternative remedy. You may want to take it to your pharmacist to ask for help. If you don't want to do that, then throw it away. However, it's important that you properly dispose of drugs. Do not just toss it in the trash because another person or an animal may find it and ingest it, causing potentially serious problems. As tempting as it may be, do not flush pills down the toilet, either. Flushing medications can pollute nearby waterways, which you use every day for drinking and bathing. Water treatment systems cannot remove every chemical in the water. It also has a significant impact on the environment, including fish and wildlife. A better option is to take the pill (and any unused medications you no longer need) to a DEA-authorized collection site. They are located all over the United States and the DEA has a search utility to help you find one nearby. It's never a good idea to take any pill that you're not prescribed or that you don't buy directly over-the-counter (OTC). It is even less advisable to take a drug when you don't know what it is. It's always best to talk to your doctor or pharmacist before taking any medication. Various medications, dietary supplements, and alternative remedies can cause serious health problems, even if they're approved for use or OTC. By taking an unknown pill, you are running the risk of drug interactions, complications of medical conditions you have, and counterfeit drugs that are not regulated. 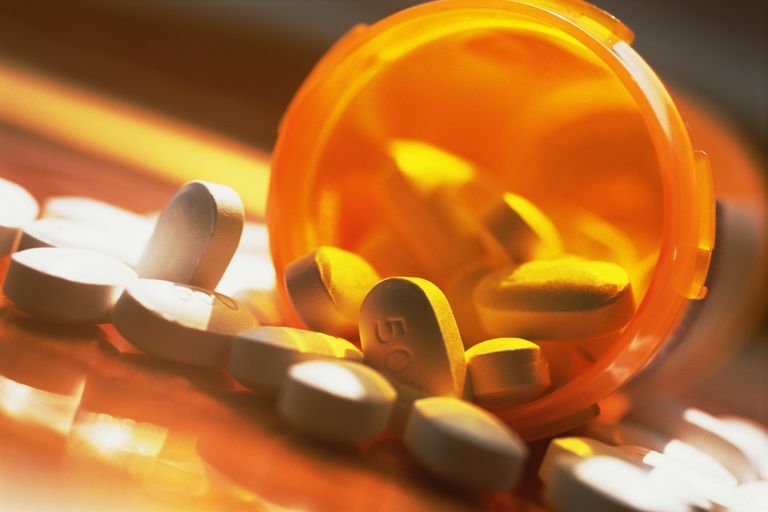 The FDA is a great resource for advice about safely taking medications. Just remember: if you don't know it, don't swallow it. U.S. Food & Drug Administration. How to Dispose of Unused Medicines. 2016. U.S. Food & Drug Administration. Think It Through: A Guide to Managing the Benefits and Risks of Medicines. 2016. U.S. National Institute of Health. Pillbox. 2016.